Here is a short Fox News interview with Marco Rubio in which Rubio challenges Crist on conservatism. I am also including the video of Crist with Obama in support of the stimulus. This is a 4 minute video and you have to go to the 1:30 mark before Crist speaks. He also mentions healthcare in the clip. I do not recall that part of the appearance getting much media attention. 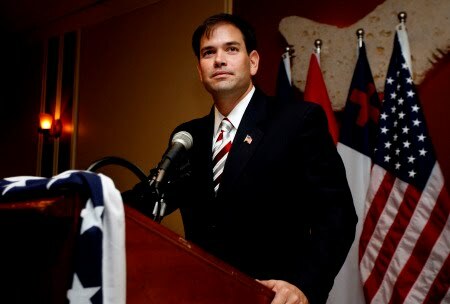 It's clear to me that Rubio is the only "CONSERVATIVE" running for US senate in Florida for the 2010 senate race.